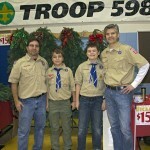 Troop 598 sells holiday swags at Northwood Elementary. Introduction to Outdoor Leadership Skills session at Camp Curran. 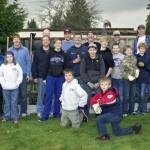 Troop 598 begins production of the holiday swags.